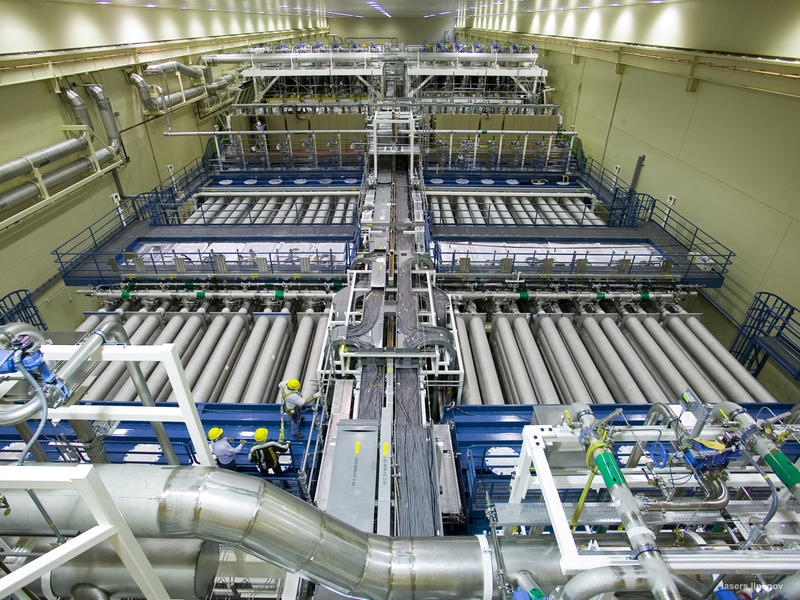 If you are a National Ignition Facility (NIF)/Lawrence Livermore National Laboratory (LLNL) subcontractor, or if you are simply looking for the most widely specified poly film in the industry for your critical packaging requirements, please contact us at 1-800-799-4830 or via email for more information. UltraLOPlus™ Poly Film from AeroPackaging is engineered specifically for critical products that require packaging in a low-ionic contamination and low outgassing film. UltraLOPlus™ Poly Film is currently the only packaging film qualified for use by suppliers to the National Ignition Facility (NIF) Project at Lawrence Livermore National Laboratory in California. This packaging film has excellent handling characteristics and an extremely clean surface. With a higher gas barrier than standard low-density poly, UltraLOPlus™ Poly Film is an excellent choice for vacuum-packing applications. Available in standard thickness of .004″ and custom thicknesses of .002″, .003″, .005″, and .006″. * UltraLOPlus Poly Tubing is available in widths from 2″ to 60″ and standard roll lengths of 500 and 1000 feet. UltraLOPlus Poly Bags are available in flat sizes from 2″ x 2″ to 22″ x 36″ (gusseted bags available by custom order only). UltraLOPlus™ Poly Film is a very strong all-purpose packaging film with high-performance parameters. UltraLOPlus™ Poly Film is extruded from resin that is free of all additives, helping to enhance its low contamination performance. This, plus the quality processing agreements AeroPackaging has with our extruder, ensures the highest-quality films available. As a primary barrier bag, UltraLOPlus™ Poly Film is an excellent choice because of its low outgassing, low ionics, durability, gas barrier, and ease of sealing characteristics. Need more information on the NIF Project? Please click here! * — 60″ UltraLO Centerfold Sheeting available in 6-mil only. ** — Large minimum orders and longer lead times may apply to all custom items.